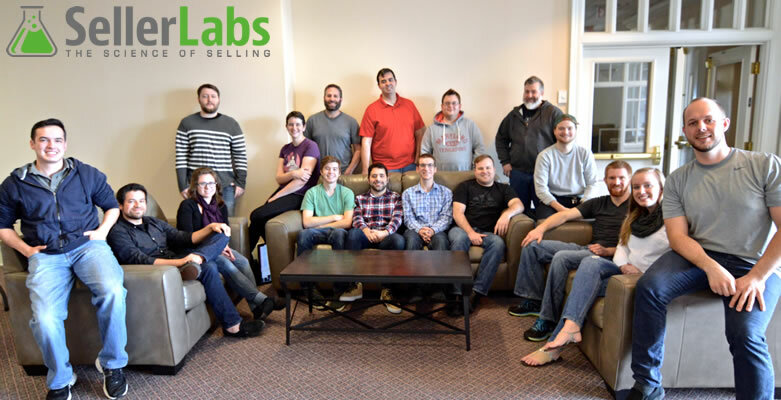 Seller Labs are the company behind Feedback Genius, one of the highest rated products in our Feedback Tools category. Despite the name, Feedback Genius does a lot more than help Amazon sellers build positive feedback. It’s actually an all-round email automation tool that can send messages to buyers when an item is ordered, dispatched or even received. Seller Labs have two more innovative tools for Amazon sellers: Scope and Snagshout. Scope is an Amazon research tool, currently being redeveloped, and Snagshout helps sellers get sales and product reviews. All together they make an impressive line-up, particularly for a company that’s only two years old. 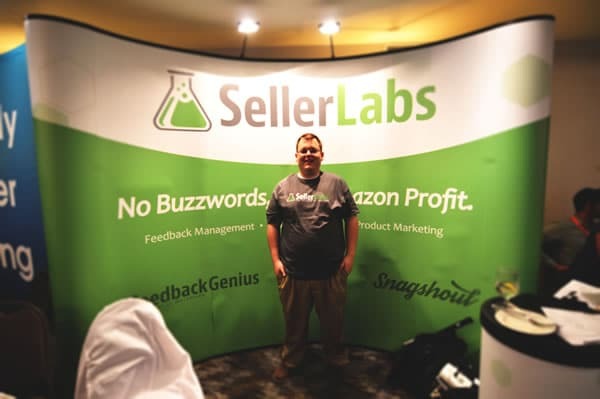 I caught up with Paul Johnson, the co-founder of Seller Labs, to ask how the business got started, what’s the story behind each of their tools, and what they’re working on right now. * Scope and Snagshout are only compatible with Amazon.com, and will only appear in our listings for readers in the US. 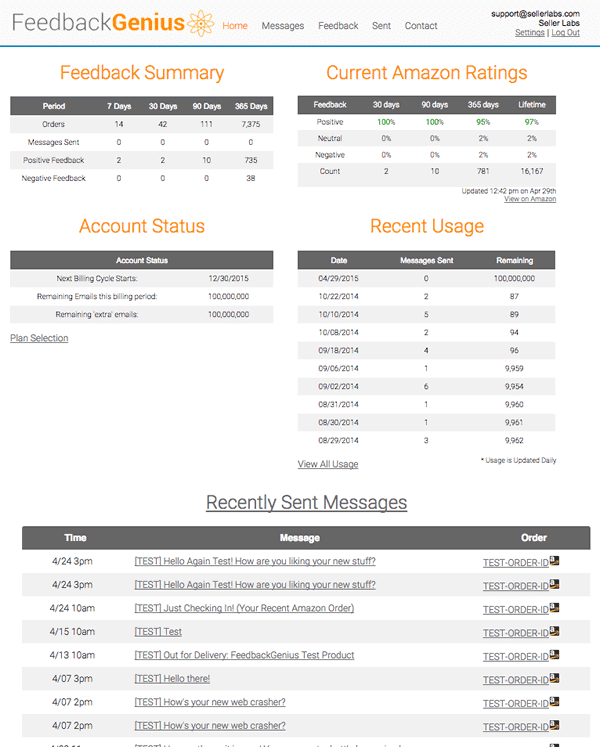 Feedback Genius has support for the UK, US and EU Amazon marketplaces. Andy: What were you doing before you started Seller Labs? Paul: I’ve been an entrepreneur since I was very young. I always wanted to have my own businesses, and never really worked in the corporate world except for a couple of low-level positions. About seven years ago I started my first real business. I was teaching music at a guitar store at the time. Late one night I was watching CNN, and they did a special where all these people were making money on eBay. I said, “If they’re making money on eBay, I can make money on eBay.” So I went to the people who owned the music store that I worked for and said, “Hey, let’s do an online version of your business, I think that I can help you do it. I’ll even put up some money to do it for you.” They weren’t really interested. So I ended up going on my own, contacted some suppliers and started from there. I grew that fairly big, together with my dad. I ended up opening a retail music store as well, a little guitar shop called Discount Guitar Warehouse in the Hoschton area close to Athens, Georgia. That was my first business, selling mainly on eBay and our own website. Wow, they aren’t many marketplace sellers who open retail stores. Where did you take the business next? During that whole process of running an ecommerce business, I got really interested in technology, trying to learn more about programming and everything. I was already going to school for the business, so I changed my major to computer science and started learning how to program. My business was new so I also did some side working to make ends meet, and ended up doing some work for Campus Books. That’s where I met Brandon [Checketts – co-founder of Seller Labs]. Brandon was also working for Campus Books, but he was a really good programmer and had just started BookScouter.com. 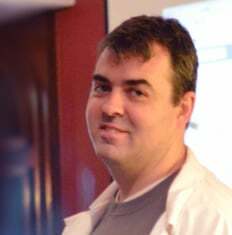 Brandon was a mentor to me on the programming side of things. We worked together a little bit, but I decided to focus in on my ecommerce business and he focused on Book Scouter and Campus Books. Around a year after we met he decided to quit Campus Books and focus on Book Scouter full-time, because it was doing really, really well. Book Scouter compares textbook prices for sale, so if you’re a college student, you go there and put in an ISBN number and it tells you all the buyback companies. It doesn’t touch any physical inventory. So we decided to go to an auction and there was all these different items like books, electronics, clothing and everything. It was a big freight auction, hundreds of pallets – you buy stuff by the pallet-load. The first time we didn’t buy anything, we were kind of scared off. But we went back and bought a pallet of books and some electronics as well. Brandon took the pallet of books to his house, and the electronics went back to my house. Two companies were basically formed that day, one was Brandon’s book business Check It Books and the other was my “electronics and everything else” liquidation company Plug IT. That was around 2011. From there they grew independently of each other. Brandon’s book business started in his garage, then moved to a storage unit, and then to a small warehouse. Mine started in a garage, then I moved into a bigger house and we filled up the entire basement. Then we started sharing a warehouse. I took a little bit more of a role in the book business, and we went from a 4,000 square foot warehouse to a 17,000 square foot warehouse. We had 20 employees and were bringing in tractor trailer loads of inventory. Did you get to use your programming skills in that business? We started writing software to manage it all. That was like our background really, especially Brandon’s but also mine, I was still going to school for computer science. For the book business our software was pretty sophisticated. You could scan a book and it would tell you everything, it pretty much idiot-proofed the whole process. You could bring in someone who didn’t know anything about Amazon. They would scan a book and choose the condition and it would tell them whether to send it to recyclers or put it on the shelf, merchant fulfill or send to FBA. It would make all those decisions for you automatically and do the pricing too. So we started writing all these inventory management tools because we had this large warehouse full of hundreds of thousands of different items. That was our first core software, inventory management and listing tools for ourselves. Everything when we first started Seller Labs was out of those original eBay and Amazon marketplace businesses we were doing. Brandon started another business with his brother that was more like a traditional reseller, and we got some really good data out of the Amazon API before they changed it. You could identify really good products to sell. So what happened to those businesses? Are they still going? Last year we were trying to run everything at once, and we couldn’t do it all so we sold those businesses. We basically liquidated all the inventory, sold out whatever was left, and closed down our warehouse. It was kind of a conflict of interest with Seller Labs too – we don’t want to compete with our customers. They weren’t businesses that anyone had really heard of, but they did a good amount of sales on Amazon and eBay. Check It Books was bigger, it did over a million dollars a year. Plug IT was verging on that. Check It Books was a considerably larger scale operation, doing just huge amounts of volume every day. But the margins for Plug-IT were a lot better, and our average order was probably $80 to $100. Check It Books still made more revenue, because we were really churning through inventory. Why did you decide to concentrate on tools for Amazon sellers? We ran our warehouse really strangely, we didn’t really have a set schedule and it was really loose. And we tried to hire people like you would at a software company, because that’s how me and Brandon have always thought about things. We went to a conference, SCOE, and saw some of the other software vendors that were there. Some of them were really good at what they did, but we thought we had unique tools that nobody else had created. And we also felt we could create stuff really fast. We started to realize that our core competency was not necessarily in running a warehouse and a big operations facility. We were a lot better at programming and doing technology. We focused on Amazon because most of the technology we had already built was for Amazon. But also we felt it was a bigger opportunity. Amazon is growing faster and you can do better on there as a seller. What was the first Seller Labs software tool? We had been building this inventory management system called Ignite, and were going to SCOE in Seattle to release it to the world, because we thought it was hot stuff. Just before SCOE I went to the beach for a weekend and right off the bat Brandon wrote a feedback tool add-on for Ignite, which was basically Feedback Genius. He made it very flexible too. The messages could be sent on all these different events. So he’s like, “I’m going to have the message go when the item’s confirmed, when it’s shipped, when it’s out for delivery and when it’s delivered.” He was hooking into the UPS API and the DHL API and the post office API, and actually sending messages on those events. So we had two tools, the inventory management system and Feedback Genius. We took them to the trade show and everybody loved Feedback Genius, it was awesome. And then people were like, “Oh yeah, Ignite’s cool”. But building a multichannel inventory management system to go up against somebody like ChannelAdvisor is very difficult. It took us a little while to realize it, but Feedback Genius was getting so much traction and doing so well, we decided to focus on that. We stopped development on our inventory management software and just focused on Feedback Genius and other tools that complement our current audience. So our first tool was created out of need, and we got lucky too. Since then we’ve really been discovering who our users are and how else we can help them. What’s the benefit of Feedback Genius sending messages at all those different times? We realized the problem that it solved was just automated customer communication in general. People started using it in all these interesting ways, like putting in links to get product reviews instead of feedback, and that became one of the most popular things that people would do. They would also include an attachment, if their Amazon listing was a special bundle with an e-book, then they could use Feedback Genius to deliver it to the buyer. Then you can use it to open up the channels of communication with your customers, especially if you are selling on FBA. If you’re selling on FBA and there’s a problem with a product, Amazon usually ends up doing all the support. They don’t always do the kind of support that you would want them to, especially if it’s a high-dollar item. You don’t necessarily want them to just give a refund every time, you might want to give better instructions. Some people return products because they just don’t know how to use them. So Feedback Genius has become a tool to do all those types of things: asking for product reviews, asking for feedback, opening up the channels for customer service before an issue even arises, and really just delighting your customers. How does Feedback Genius help you do customer service for FBA sales? Well, if the buyer comes in to Amazon and reports a problem with an FBA order it’s going to open up a line of communication to Seller Central and Amazon customer service and they start handling that case. I would say it’s the most advanced transactional email system around. You can do things like send your repeat buyers different messages, not send a message if the item was delivered late and so on. You can pick whatever strategy you’re trying to accomplish and then the tactical things are there to implement it on your behalf. We have great support guys that’ll help you do it as well. Could sellers use Feedback Genius to send messages that go against Amazon’s terms? Yeah. Where you can get in trouble is in the content of your email. At the bottom of the content box we have a very brief summary of Amazon’s buyer/seller messaging terms of service and then we link to it as well. Basically Amazon doesn’t want you to link to an outside website, trying to get them to make a purchase or give their real email, or any promotion. They don’t want you to be marketing to their customers. It’s their customer and they don’t want you to try to acquire them as your own customer, that’s the main thing that they’re going to get upset about. Keep it about the order and the product. The other thing that you can’t do is ask somebody to leave you five star feedback. You have to say, “We’d appreciate it if you would leave us feedback.” You can also say something like, “We hope that your experience was positive, we’d really appreciate it if you’d leave us feedback.” There’s like the letter of the law and the spirit of the law, when in doubt you can actually ask Amazon yourself, and get it in writing. What’s coming next for Feedback Genius? The roadmap right now is getting all the Amazon international marketplaces done, like the UK and Canada. We’re working on that a lot now, and taking on beta testers. Right now it’s just Amazon US, but international is probably the most requested feature. It’s almost being demanded at this point, like we have to have it. The way our system works with all the different carriers, we have to be prepared for that because not every international carrier has an API. Feedback Genius is actually a very complicated system with a lot of technology built into it, but international support should be out fairly soon. Our goal is third quarter 2015. We’re building a new user interface as well, that’s going to make the system a lot more user friendly, and just more attractive and aesthetically pleasing. And we’re setting it up to go multichannel as well. We’ve built out a new API on the back end, and we’re moving Feedback Genius into that. People will be able to interact with our API so they can build a connector from their system into Feedback Genius. We should be able to do some integrations with other tools too. Let’s move on to your other tools. What does Scope do? We just launched a whole new version of Scope that’s in beta right now. We have a team just working on that. It also gives you a different view into the Amazon catalogue, so you can search through Amazon in a different way. So you say, “I want to see something in this category, that has a sales rank between 100 and 1,000, priced between this point and that point.” When you click on that item you get all the fee information, and the sales rank over time, the price over time and all these different data points. We’re hoping to make it one of the premier Amazon research tools around. We have some really cool features that we’re working on right now. It’s very much in beta and we’re just adding a few users a week. Once we get it up to speed it’s going to be really, really cool. Just a kind of full blown analytic suite for product research on Amazon. It will be out probably early fourth quarter, maybe a little bit before then. You can sign up for the beta, but we’re onboarding people a little bit at a time because we don’t want to flood the development team with feature requests right now. Snagshout’s a lot further along, it actually fully launched in January and it’s now our fastest growing tool. I’d call it a platform really. I’m inventing buzzwords here, but it’s a “social deals” website. You can go to the website as a shopper, and get a deal, then you have to do something social about that. Right now that’s leaving a review on Amazon. So we’re helping Amazon merchants with their own brands, increasing their sales and generating good quality honest reviews on Amazon. To date we’ve generated more than 17,000 reviews since we’ve launched. About 87% of any product that gets snagged on Snagshout results in an Amazon review. We actually had 4,000 Amazon shoppers sign up for it last week alone, so it’s growing really, really fast. It’s a great way to launch a brand on Amazon because not only do you get the reviews, but also the sales. We’ve seen a lot of people shoot up to number one in their category. They won’t always maintain that position, but they’ll definitely plateau at a higher position than when they started off. It’s really powerful for them. I think Snagshout’s going to be revolutionary for anybody doing their own brand on Amazon. So how does it work from a seller’s point of view, step by step? So you come to our portal and put in the ASIN that you want to create a deal for. We take some data about the product like the price and title, and make a listing on our platform, just like an Amazon or eBay listing. You create a start date and an end date, and a time as well. Then you have to sync that up in Amazon with a promotion that you’re going to do. So you go to Amazon, and create promo codes – we leverage Amazon’s single-use promo codes. These promo codes allow you to take off any amount you want, 100%, one percent, or anywhere in between. You upload those in our system and tell us what the actual price is going to be. It needs to match, after the promo code is applied, with the price our shoppers are going to pay. Then we take that list and it determines your quantity – we count the number of promo codes in the list. So if you have 100 unique promo codes that means you’re going to have 100 quantity on Snagshout. You can even do things like drip out product over time, so if you want to have five units go a day you can do that. So now your product is live on Snagshout and someone can come along and buy it. Who are the buyers, and how do they find Snagshout? We started out targeting the top reviewers on Amazon, creating a database of them and inviting them to join the list. Then it started growing via social media. A large proportion of our traffic was coming from Facebook, without us doing much about it. Now we have some partners that we’re working with to drive in traffic. We’ll have 20,000 people on the platform probably in the next day or two. I’d venture to say that we’ll have 100,000 Amazon shoppers on the platform in the next few months. There’s nothing fancy about it. We’re trying to get regular people. At first we were trying to get the influencer types that have a lot of social following and write great content, then we decided to do things differently and really focus on the average person. We want to make a kind of shopping platform, where you go to get a deal that has a social component to it. We verify that they have an Amazon account, and we keep them unique so they can’t sign up more than once. We’re looking for the average Amazon shopper, typically with an Amazon Prime account. Nothing out of the ordinary. A lot of our audience are women, and they are very social because they understand that built into Snagshout is sharing your opinion about something. They really do like to share their opinion, and a lot of them want to share about Snagshout as well. What happens once the buyer goes onto Snagshout and says they are going to buy a product? They get a promo code and a link to Amazon. We don’t track whether they’ve bought it or not, but we track reviews. We send them an email, and they get the promo code there, then send them a follow-up email and tell them what they need to do. Then we lock their account so they can’t get another deal until their review is posted. We basically say, “Hey, once your product arrives, leave a review and then you can get another deal.” Looking at the stats, about 87% of people that get a promo code end up posting a review. That’s data from deals that are at least two weeks old or longer. If I went back four weeks or further I’d probably see something in the 90s. So the benefit for sellers is a lot more product reviews? Yeah, but it’s not only about reviews. One of the big key differentiators that Amazon uses to judge whether they should rank your product ahead of somebody else’s product in searches, is the sales velocity that you’re achieving. So if your competition is selling ten units a day and you want to rank higher than them you need to be selling 11 units a day. If you’re selling five units a day you can use Snagshout to supplement those extra six, and that’ll give you a boost in sales. That will get your sales velocity up and get the reviews as well. The people right now are definitely looking for those really, really good deals but if it’s a $60 item you don’t have to give it away for free. You’re not going to make money, it’s definitely a marketing expense, because our shoppers are leaving reviews and doing other stuff besides just buying your product. The shoppers are honest though. We require them to be honest and we’re very careful to stay in compliance with Amazon’s terms and also FTC regulations, so we ask them to leave a disclaimer. We can’t make them, but we tell them if they don’t do it they’re going to get kicked off of the platform. So they have to leave a disclaimer saying they got a deal on the product when they leave their review. And people do leave negative reviews. We’ve had a decent amount of three star reviews and then some one and two star reviews. But most are four and five star reviews on Snagshout. That’s kind of the way it breaks down on Amazon anyway, most people are fairly happy and if it’s a good product they’re going to leave a four or five star review. But if you put a bad product up on Snagshout, you’re not always going to get positive reviews. That keeps it honest. What is Seller Labs like as a company? How many are in the team and what’s the culture like? I’d still consider us a small business, headquartered in Athens, Georgia. We have twenty people right now. I’m actually trying to hire about eight people in the next thirty days, so that’s going to be a big ramp up. We’re growing really, really fast. We’re headquartered in Athens, a small college town about an hour outside of Atlanta. It’s a fairly relaxed environment, a very young kind of start-up culture. We operate in a results-only work environment where there is no schedule or vacation policy. So people kind of work when they want, where they want, unless they’re in a customer-facing job and have to be available during business hours to take phone calls. About half of our employees are in some type of IT software position. The other half are in support and business development and so on. The management team is me and Brandon, then we have Jeff Cohen, who’s actually in Chicago. He was actually the CEO of Campus Books which is where Brandon worked before and I worked a little bit with him there. He’s also one of the guys who’s responsible for launching textbooks.com. So he’s been really, really good. We’re hiring for all kinds of positions. Definitely people who are interested in account management and helping sellers achieve better results. We’re always interested in talking to people. We’ll probably have at least doubled our staff by the end of the year. And it was only two years ago when you launched? Do you have investors? Yeah, just two years ago and we’re bootstrapped too. Brandon helped us get started with some profits from Book Scouter, but that’s really it. I lived off of very, very little money to get the company started because I had other income coming in from our ecommerce operations. So no venture capital or anything like that, it’s just me and Brandon, and we’ve given a lot of our core team a little bit of equity in the company. One of our core philosophies is about education. We went to China and had Patrick Muir come with us who’s doing the $25,000 challenge. We gave him $25,000 at the start of the year to start an Amazon business, so he came along and learned about how to get products from China. Then we’re building out an inbound marketing team, and their whole goal is to create the best content around Amazon and ecommerce, and just how to really succeed. Our goal is beyond making money, we want to see people be successful. That’s really why we build the tools that we build – people ask for them and they need them. So that’s really where we’re at right now. We want to see our employees do very well and be successful, and we want to see our customers do well and be successful – make money and improve their lives. We really believe in helping people do that, that’s our vision of what we’re trying to do. What do you think is the next change or big trend in terms of marketplace selling? The trend is moving away from resellers, and a lot more towards direct-to-consumer where brands are going to be bringing their own products straight onto the marketplaces. If you’re a reseller it’s important to have some type of exclusive relationship, and prove you can really earn your reselling privileges. Brands are either going to work with exclusive people, start to do it themselves, or start hiring agencies. It’s not good for a brand to have 50 people selling their product on Amazon, it doesn’t help them at all. No one’s interest is aligned there. If you’re a reseller you’re basically buying commodities and you’re trading online, which is fine and it’s a great way to make a lot of money. But is it in the brand’s best interest? They’re better off working with some exclusive partners who are willing to really build their brands, and market their company on marketplaces and other channels. Brands are either going to work with exclusive people, start to do it themselves, or start hiring agencies. When I was in China I can’t tell you how many factories and people I talked to that are really trying to move directly into selling online. And a lot of big brands are also discovering that. They’re building out teams of people who just focus on Amazon and eBay – really Amazon a lot. And Amazon is there, they’re recruiting Chinese sellers as well. Those guys are understanding how to use FBA, how to do branding. So in my opinion, it’s going to be more and more people moving towards doing their own brands, and owning something proprietary about their business. If you have something that’s proprietary and it’s your brand, you can protect yourself against the competition and even against Amazon, because you have a brand that can hopefully sell on other channels, including brick and mortar as well. I feel like Amazon is a kind of battleground for developing new products. You can come to market really quickly and create something new and unique, and test it there. Then you get feedback. The reviews are right there and if you look at the negative reviews especially, your customers are telling you how you can become better at what you’re doing. Then you go back and work with your product development team and make something more unique and better. We’re positioning ourselves for that, which is why we’re building tools like Snagshout and focusing on those markets and those verticals. Thank you Paul, for telling us all about Seller Labs and your tools for Amazon sellers. It’s a great company, and I hope your success continues! Love Feedback Genius’s email automation tactics. What a great idea! I have been using SellerLAB’s products for a long time, like FeedBackGENIUS, and really like them, they help my business control feedbacks. And keeps me in contact with my customers. SnagShout is great for getting review on your product, especially useful for new products, like Bundles or Private Label. I switched from FeedBack Five and have never looked back. great products, great support, and great people. Triple threat!